PRO-10™ should be installed from the originating head-end i.e., the electrical or telecommunications closet. Once the pathway has been established, it is important to install the pre-fabricated junctions first. This allows for proper field measurements before installing the cable tray. If the straight sections are installed first, it will cause unnecessary field adjustments. Each section has loops at each end. 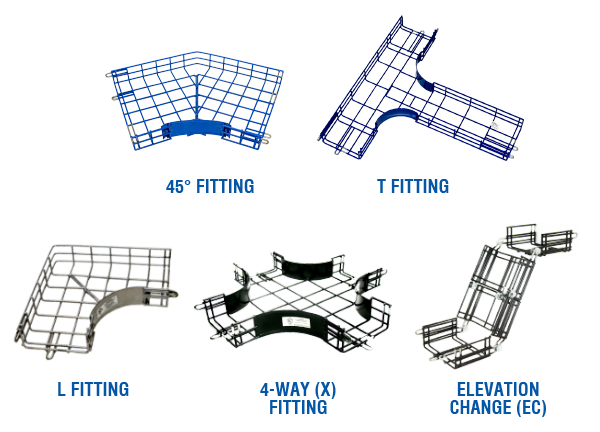 When the sections are connected, the loop on the bottom aligns under the galvanized masked area of the adjoining section. The loop on the side slides into the outside loop guide. 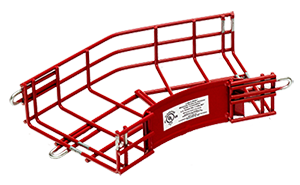 Once the trays are aligned, install the 5/16″ carriage bolt (included) through the loops with the threaded end to the outside of the tray. Install and tighten the flanged nuts with a 1/2″ socket. This reduces the chances of damage when pulling the cables. It is not recommended that the cable tray be cut as it will interfere with the grounding characteristics and UL classification®. * Contact Technical Support for 36″ load data.